What is the best way to relieve a toothache? 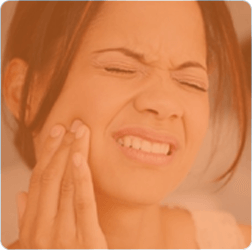 A toothache often means that something is wrong and it needs attention immediately. Call us to arrange an immediate appointment. In the meanwhile, you can try painkillers to ease the pain. 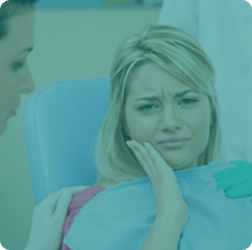 WHAT TO DO IF I HAVE BROKEN OR FRACTURED MY TOOTH? Keep the piece of the tooth- Your dentist may be able to glue it back to you! For this to happen- seek dental care immediately. Call us at (03) 9374 2244. Yes, we provide 24/7 dental emergency services! Most of the time broken teeth can also be fixed with a filling, however, if left too long can lead to an infection. 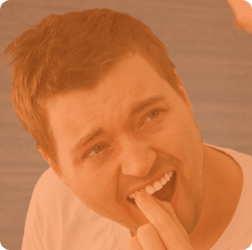 WHAT TO DO IF YOU HAVE KNOCKED YOUR TOOTH OUT? What to do if my crown has come off? Keep the crown safe, and we may be able to recement it for you. To avoid further damages to your tooth, book an appointment with us as soon as possible. DO YOU HAVE A SWELLING OR ABSCESS? You need immediate attention as it may spread to a bigger infection. HAVE YOU BROKEN YOUR DENTURE? Bring the denture with you to your appointment, and we may be able to repair it for you the same day. What is your tooth telling you?